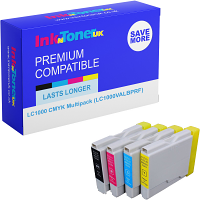 Brother DCP-750cw Printer When that undesirable time occurs, and you have a necessity to go out and obtain your NEW Brother DCP-750cw ink cartridges due to your current ones running low, or running out of ink, your best bet is turning to us right here at InkNTonerUK! 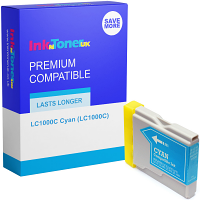 We aim to gain the most economical fees possible for you to purchase your NEW Brother DCP-750cw ink cartridges for, vending the requisite ink cartridges for your DCP-750cw printer at appreciably low-costs compared to our leading competitor rates, and offer a complete guarantee that alike our broad selection of returning patrons, you'll be 100% contented with all in which you've received, in terms of the quality of prints they generate, and the life span of each product! 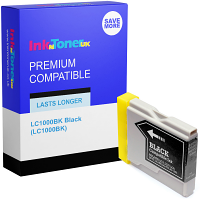 The Brother DCP-750cw ink cartridges bought from us are filled to the full capacity of ink! - Why prolong the situation? 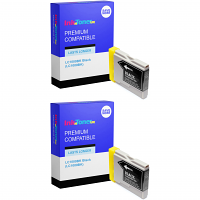 - Get too it, select your option and acquire your NEW Brother DCP-750cw ink cartridges today! With use of your NEW Brother DCP-750cw ink cartridges, you'll be generating consistently HIGH-QUALITY prints of imagery and documentation with a sense of swiftness at speeds of UP TOO; 27 PPM (Prints per minute) in Mono (Black), and 22 PPM in Colour Offering a simplicity if larger quantity printing is what you entail! The DCP-750cw printer will do this on an array of varied media types, predominantly being; Plain paper, envelopes, cards & transparencies... Generally, the Brother DCP-750cw printer is a fantastic 'all-in-one' printing mechanism, with constant reliability, premium quality and comprehensible characteristics Its practical dimensions of; 398 x 351 x 150 mm (W x D x H) make it a product that is effortlessly consumed, located and repositioned as and when required, an excellent devise for your desk at work and/or at home! - You all together get MORE usage from your DCP-750cw printer as you NOW have capability to obtain MORE of the Brother DCP-750cw ink cartridges you need, as and when obligatory! InkNTonerUK advise you too 'Bookmark' this page, as this will give a clear-cut method of getting right here each time you come to necessitate purchase of your NEW Brother DCP-750cw ink cartridges!